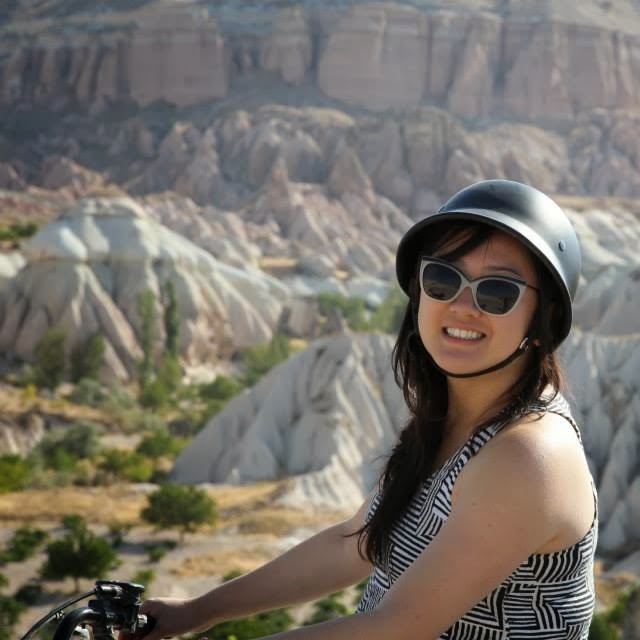 My name is YaoYao Wang and I’m a first year MBA student at Booth, originally from Los Angeles, California. Prior to business school I worked as an Operations Manager at a health products startup while being the CMO of a volunteer-run nonprofit. Outside of work and school, I love playing badminton, cooking, and Yelping. Follow me @yaoyaowang where I tweet about all sorts of business school fun. In just a few short months as an MBA student at Booth, I’ve learned a few valuable lessons and pleasantly surprising facts. I share my Top 5 with those of you considering an MBA at Booth. Hopefully my lessons will provide insight into the wealth of opportunities at Booth, as well as the best way to navigate your decision-making to get the most out of your experience. 1. For every action, there is an equal and opposite reaction. No, I’m not actually referring to Newtonian physics here. As a business school student, you quickly learn to manage your time very well; and often, what you’ll find is that you can’t add events to your calendar without taking something off. Planning your career, networking, learning in business school? I’ve quickly learned the key to success is actually all about mastering the art of making tradeoffs. If you can’t decide which amazing classes, student clubs, and recruiting opportunities to sacrifice over others, you’ll get great guidance from Career and Academic Services. And since this is Chicago Booth, home of brilliant professors and Nobel prize-winning economists, concepts like opportunity cost and marginal utility will creep into your daily vocabulary before you even know it, and will help you make these tough decisions. 2. Use your pre-MBA summer wisely. Once school starts you will have 20 million events and deadlines on your calendar (Legal disclaimer: OK, maybe not literally 20 million events and deadlines, but there are tons of opportunities here!). If you can, take time before Booth to travel, spend time with family and friends, work out, eat healthy, and sleep. See if you still know how to study. This sounds pretty basic but you’d be surprised at how many of us realize that being in the workforce for a few years has made us forget how to be students. A great way to regain your learning skills would be to take an online class or even a local language or art class. 3. Second years are to first years like sliced bread and zippers are to humanity. A third thing I didn’t fully understand before starting Booth is the tremendous value that second year MBAs add to the business school experience. Their willingness to help knows no bounds. Got questions about internships, careers, resumes, interviews, classes, housing, transportation, or what to wear in the Chicago winters? Second years will help you with that. I always find myself shocked with the amount of time second years put into planning events that improve first years’ business school experience, whether it be Random Walks, LEAD, student groups, school-wide events, company presentations, workshops, social events, trips, or mixers. If you ask them why, you’ll get a shoulder shrug that downplays their involvement and the usual, “the second years were there for us when we first got here.” You’ll see this sense of paying it forward permeating the Chicago Booth network from the first years all the way up to the alumni. 4. There is such a thing as free lunch. In the form of Lunch ‘n’ Learns, that is! Career Services and the career-focused student groups host prominent companies from various functions and industries to recruit MBA talent and these presentations often come with free meals! Though I’ve enjoyed not having to buy lunch my first quarter because I’ve been to so many events, the real “free lunches” are the valuable interactions Career Services has facilitated with Booth alumni from companies large and small. Through presentations of mini case studies of recent challenging problems they’ve faced or explaining their company culture and values, I’ve found it invaluable to learn about fit and culture at companies I’m interested in. It’s a two-way street, because as much as companies are recruiting us, we are also scoping them out to make sure we might enjoy our time there as an intern or full-time hire. Additionally, Career Services has been really helpful in working with us to make sure we have a good sense of our career goals and personal needs to get the most out of these events and interactions. 5. Any interest or hobby you can think of, it’s probably here. We have an amazing array of student groups solely focused on fun, hobbies, diversity, and interests. Food, wine, boxing, rugby – you name it, we’ve got it. Clubs are a great way to meet new friends who may not be in your classes or recruiting for the same career path. In addition to the extensive list of student groups people are constantly organizing informal events. I could easily go on and on about the wonderful experience that Chicago Booth has been for the last two and a half months (that’s right, we’ve only been here for two and a half months!) but, there’s no blog or list that could tell you what it’s really like at Booth. For me, speaking with current students and alumni at locally-hosted Booth events and visiting the campus really helped me decide that Booth was the right place for me. As a prospective student, I met so many great people with diverse backgrounds and fascinating life stories, and I’m enjoying getting to know them now as my peers and classmates. I look forward to seeing you at an on-campus event and welcoming you to our school!